By William Hill & Son dating from 1891, the organ was originally in Lodge Lane, Wesleyan Church, Liverpool. It was removed by others to the new St Margaret’s Church during 1960s, but was badly damaged by fire in 2004. 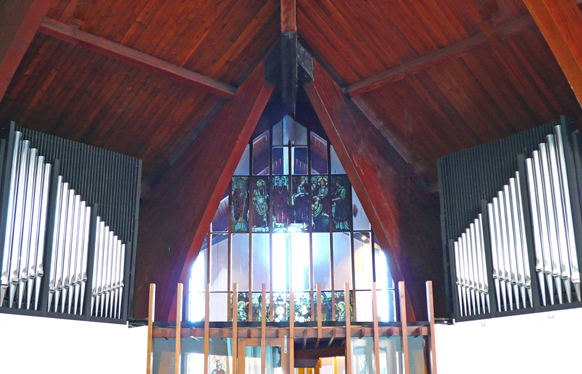 It was restored by David Wells Organ Builders Ltd with a new console and new pipe facades.